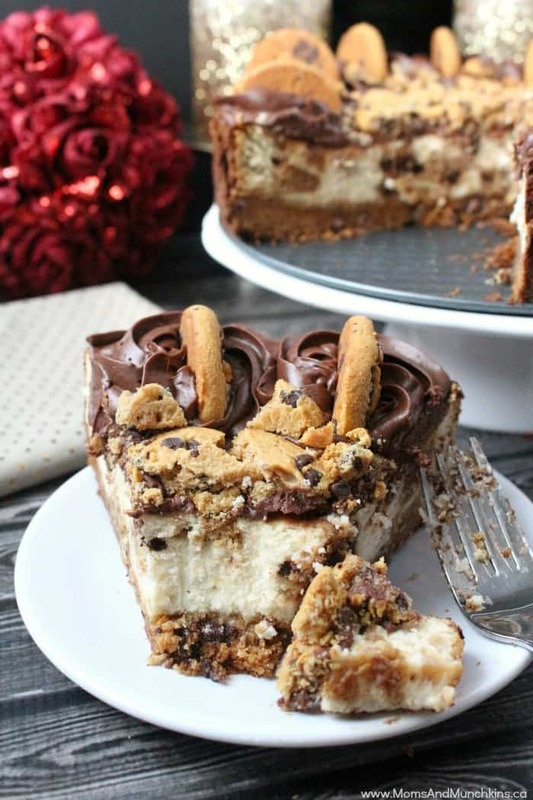 If you’re looking for a delicious dessert for your next party that’s easy to make – this Chocolate Chip Cookie Cheesecake is the recipe you’ve been looking for! 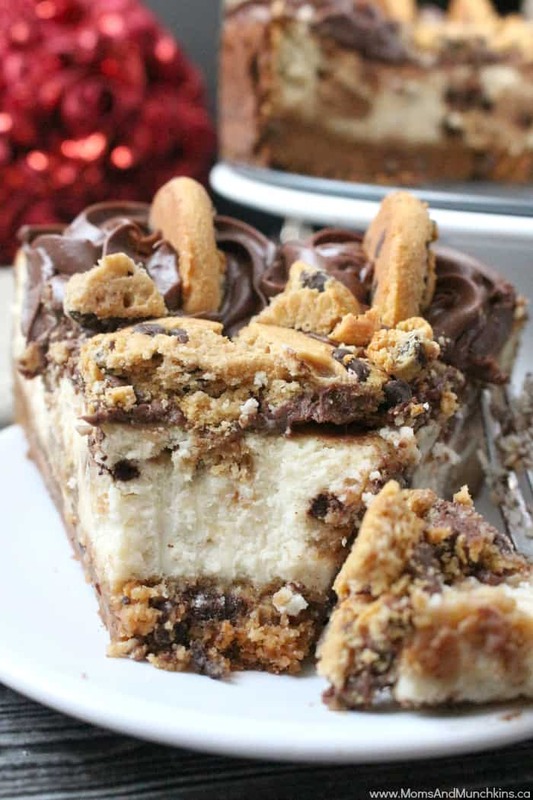 It starts with a chocolate chip cookie base, then an irresistible cheesecake loaded with chocolate chip cookies, topped with chocolate frosting and more chocolate chip cookies. Drooling yet? Me too! I don’t start from scratch with every step of this dessert. If you have a favorite chocolate chip cookie recipe you want to bake & use for this recipe – go for it! 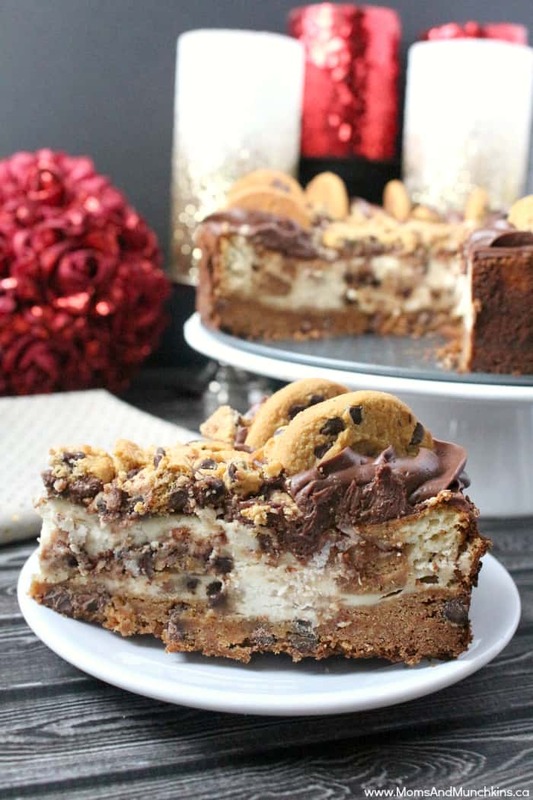 I took the easy route and used a Betty Crocker Chocolate Chip Cookie Mix for the base, Chips Ahoy Chewy Chocolate Chip Cookies in the cheesecake and on top plus a jar of Betty Crocker Chocolate Frosting. You could make your own cookies and frosting but who has the time for all that, right? Make cookie mix as directed on the package using the oil, water and egg. Spread dough evenly in ungreased 9" round springform pan. Stir in 1 cup chocolate chip cookie pieces. 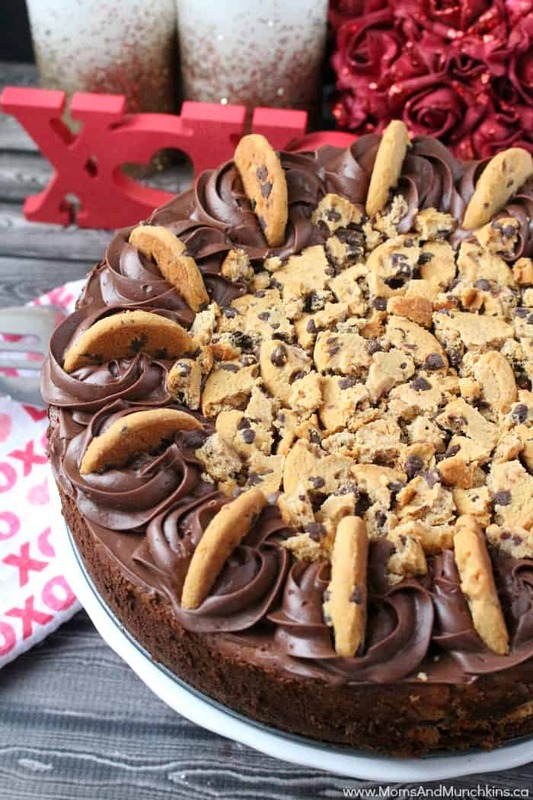 Reserve the rest of the chocolate chip cookie pieces for decorating the top of the cake after adding the frosting. Top with chocolate frosting and remainder of crushed cookies. 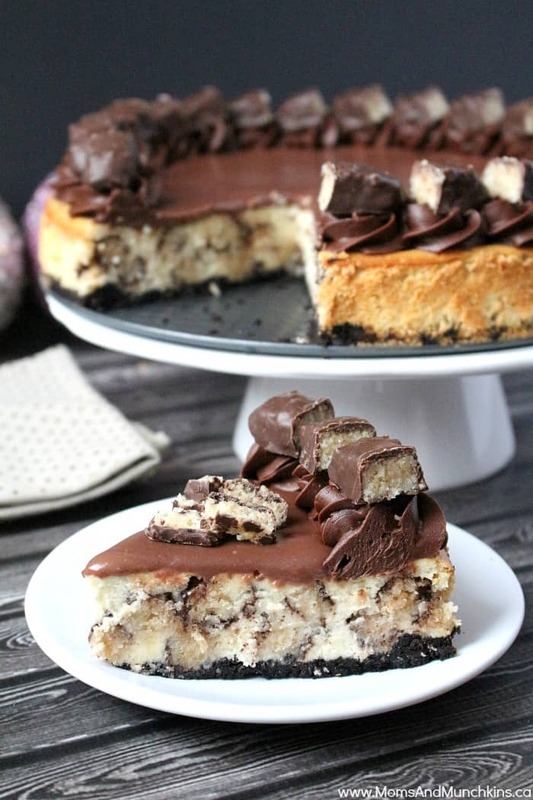 Another cheesecake recipe I’d highly recommend is this Chocolate Macaroon Cheesecake. So yummy! 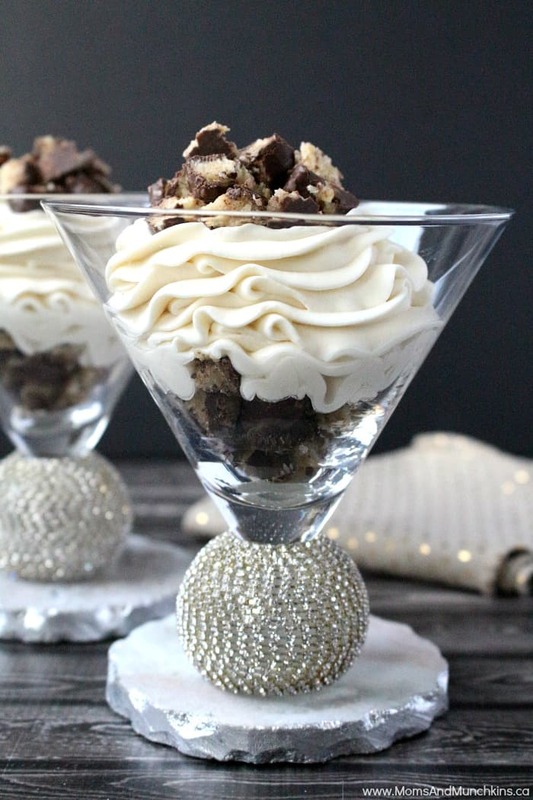 Or if you’re short on time and looking for a quick & easy dessert, check out this No Bake Macaroon Cheesecake Parfait recipe. Visit our Recipes page for even more delicious desserts, appetizers, breakfast and more! We’re always adding new ideas for parties & family fun! Stay updated on the latest by following us on Facebook, Pinterest, Twitter and Instagram.